At Dirks Automotive & Transmission you'll find the best transmission repair and auto repair in Oroville, CA! Oroville native, Doug Dirks, first opened the shop in 1972, providing top quality transmission repair services. Then in 1990 we started providing full-service auto repair and maintenance services as well. For more than 40 years our Oroville auto repair shop been locally owned and under the same ownership! Our years of experience, friendly team and outstanding customer service make us your Oroville auto repair shop of choice. We’re dedicated to helping our wonderful customers in Oroville, Chico, Paradise and the rest of the other surrounding areas get back on the road quickly, easily and safely. We pride ourselves on being industry leaders with state-of-the-art auto equipment and a high-tech auto repair shop. Our mechanics are professional, ASE Certified Technicians who can handle any and all of your auto repair needs right here in Oroville. The talented team here at Dirks Automotive & Transmission participate in ongoing trainings with national and international leaders in the automotive industry, helping us stay on top of the latest technologies and auto services available. We provide a free local shuttle service & Quality Assurance Program! When you bring your car, truck, SUV or minivan to our Oroville auto repair shop for auto service, transmission repair or maintenance services, take advantage of our free local shuttle service to get you where you need to go! We also have a written Quality Assurance Program to document and guarantee that each customer and vehicle receives the high quality service they expect and deserve - every time. Our main goal is to provide our customers with the best auto repair experience in Oroville and we always appreciate feedback that helps us continue to grow and address all of our customers’ needs. So whether you’re looking for an oil change, brake repair, transmission service or auto repair in Oroville, CA, look no further than Dirks Automotive & Transmission. Stop by, give us a call, or easily schedule your appointment online today and see why we’re one of the favorite Oroville automotive and transmission repair shops! Part of the Approved Auto Repair program is regularly surveying customers about their experiences. We encourage you to take a few moments and participate in a quick satisfaction survey. 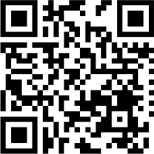 Click on the button below or use your smartphone to link to the survey through the QR code.